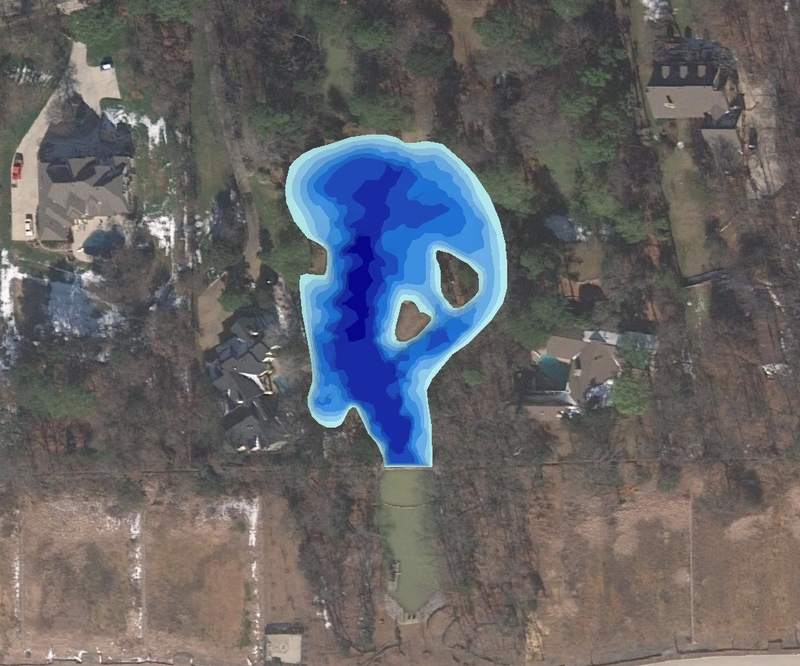 Bathymetric Lake Mapping was performed by Trent Lewis with Pond Medics, Inc., for a private homeowner in a suburb northwest of Dallas, Texas. The purpose of this project was to create a base map of lake depths and locate areas of sediment accumulation. The mapping techniques utilized in this project and subsequent lake mapping results allowed Pond Medics to devise an accurate resource management plan for the association. This entry was posted in Lake Map and tagged Bathymetric Map, Dredging, Fishing, GIS, GPS, GPS Lake, GPS Map, lake, Lake Management, Lake Map, Lake Mapping, Lake Survey, Land Mapping, map, New Jersey Lake, Pond, Pond Medics, Sediment, Sedimentation, Survey, Texas Dredging, Texas Lake, The Mapping Network on November 28, 2011 by Moderator.